Short Description: A must for all new visitors to Lisbon. 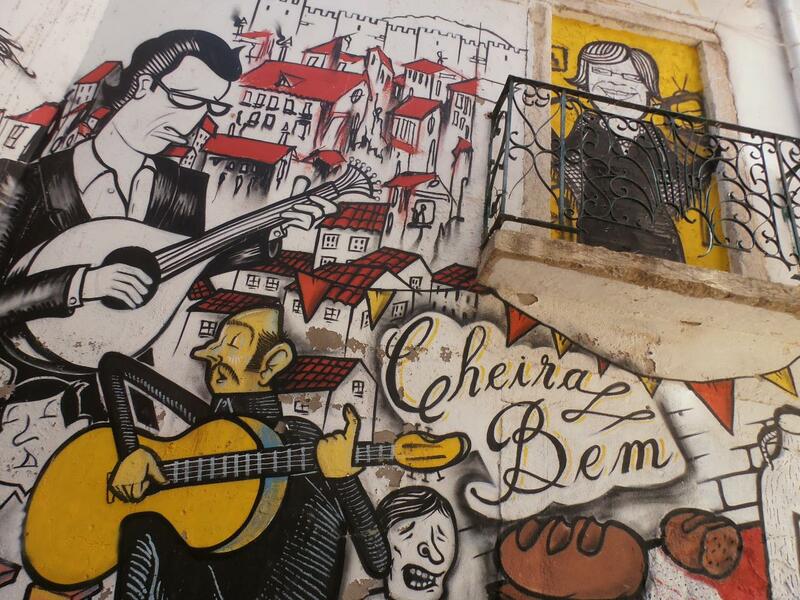 This walking tour combines Lisbon's many breathtaking viewpoints with the vibrant and creative Street Art that cover the streets. Two very special things that make Lisbon a city to love. Long Description: The walking tour begins at the iconic Miradouro Sophia de Mello Breyner Andersen, where you can view the Castle of Saint Jorge as well as downtown Lisbon. From there, your guide will accompany you to the Graça neighborhood, where you can admire works by Shepard Fairey and Vhils, afterwards, you will visit the Miradouro das Portas do Sol and admire the river Tagus from a top point of view. One of the highlights of this combined experience is the chance to get acquainted with the local street art scene of the city. Along the way of each of the lookout points, you will admire works from world-renowned street artists and local favorites like Nomen, Utopia, Bordalo II and Gonçalo Mar, as well as other talented local artists that have made Lisbon an open art gallery. This tour is conducted by a licensed local guide whose mission is to inform travelers what they need to know to enhance their stay in Lisbon, and to promote Portugal's culture and heritage. From recommendations of things to do in the city, to insider advice on public transportation, to other areas you would want to visit on your stay, feel free to ask your guide anything. The maximum number of participants is 6 people. This way, a personal and engaging experience is guaranteed.